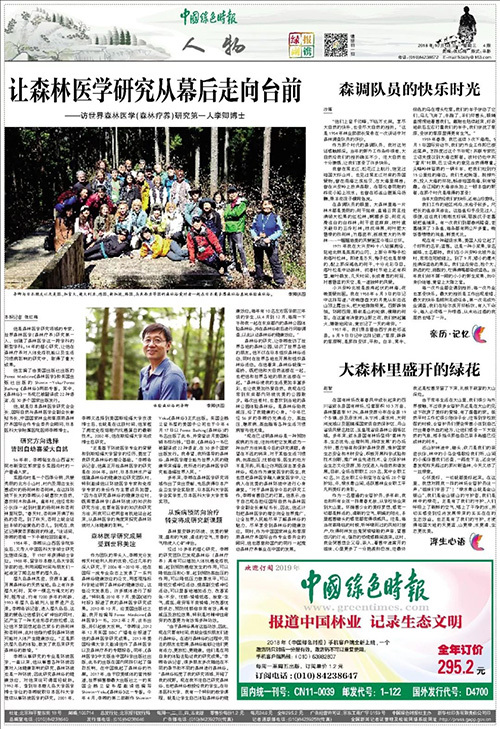 Hongmei Zhang, a journalist of the China Green Times interviewed for Dr. Qing Li, the vice president and secretary-general of INFOM, the president of Japanese Society of Forest Medicine, the director of Japanese Forest Therapy Society on the topic of Forest Medicine in October. The interview was posted on October 31, 2018 as follows. Please also access the following file to get the information about the report.